Welcome back to the Animals Away blog! Can you believe the holiday season is already here? Many of you will be kicking off the holiday season by celebrating Thanksgiving later this month, which means fun times ahead spent with friends and family, stuffing your bellies with lots of delicious foods, and of course, setting out on holiday travels both near and far. 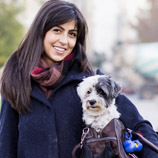 Many pet parents will be taking their pets with them on their holiday adventures, while some will plan to leave them behind in the care of a loved one or pet sitter. Either way, there are things pet owners will want to be aware of during their holiday travels to keep their pets healthy and safe and, today, we will explore some helpful holiday travel tips for your pet. Many pets are used to riding around town in the car with their owners, so many will be fine when traveling short and long distances for the holidays. While we all love letting our canine companions stick their heads out of the window to catch the cool breeze and enjoy all the smells in the air, pets should always be safely restrained with a secure pet harness or in a travel kennel when in the car. Avoid placing your pet near airbags and never transport dogs or other pets in the beds of trucks or empty hauling vans, as they can suffer minor to severe injuries. Also, even though the weather will be much cooler in many places across the country, avoid leaving your pet alone in the car no matter what the temperature is, especially if you’re traveling with food in the car that they may get into. While any airline will require a health certification from your vet which acknowledges that your pet is up-to-date on their vaccinations and other health criteria, it is always good to keep a copy with you when traveling in your vehicle. Click on this link to the United State Department of Agriculture (USDA) to see state regulations for traveling with animals. Keep a copy of their medical records in the glove box at all times in case of an emergency or an unexpected trip to the vet while you’re traveling. Be mindful to pack everything your pet will need for the holiday trip or for staying with a pet sitter. Make sure to refill and pack any prescriptions your pet may require, along with any pet supplements, and plenty of food (and treats, of course). 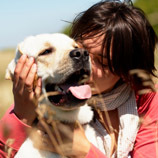 Keep a photo of your pet handy in case they get lost while traveling and provide one for your pet sitter, too. Most pet sitters require a copy of your pet’s medical records, but if your pet is staying with a friend or family member, you’ll also want to provide your them with a copy. 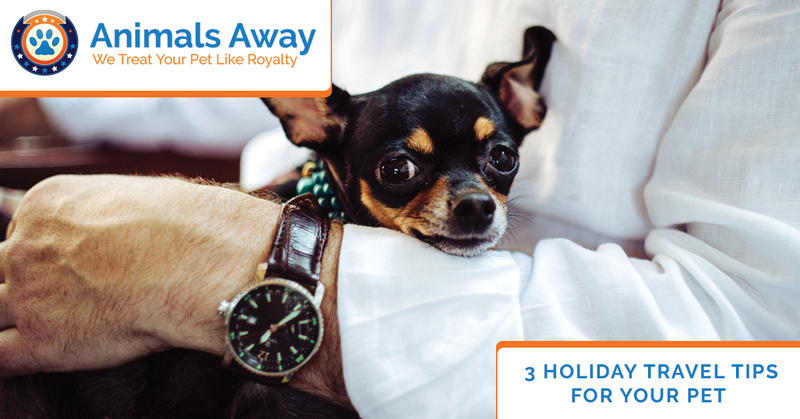 Type out a summary of your pet’s daily regimen so that they can maintain their usual routine as much as possible while staying with someone for the holidays. Also, when packing a road safety emergency kit for the car, make one for your pet, too, complete with any emergency supplies that could help them should they become sick or injured on the trip. You’ll also want to keep a water bowl handy and plenty of water to keep them hydrated during their journey. Make sure to pack plenty of poo bags so you can clean up after your pet when you stop for bathroom breaks. Don’t forget to keep some treats handy for the journey and pack a toy or blanket for them to ride with to comfort them. These are just a few useful tips parents can use when traveling over the holidays. 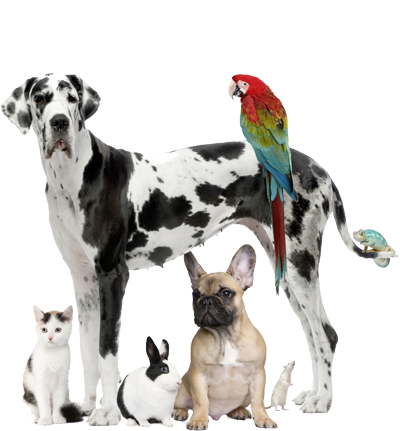 If you prefer shipping pets to their destination, rather than transporting them yourself, contact our pet shipping experts at Animals Away, the Top Rated Local® pet transport team, and we will take care of your pet’s travel arrangements all the way from the front door of your home to their final destination. 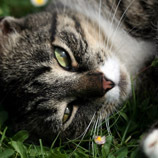 At Animals Away, your pet’s safety and wellbeing are our priority and we are dedicated to getting to and from their destination safely and comfortably. Give us call today and schedule a consultation for reliable holiday pet transportation.